Since we started Outdoor Lighting Perspectives of Denver/Boulder, Colorado Springs, and Fort Collins; we have always believed firmly in the importance of a nighttime demonstration. Although our customers may have seen many houses with beautiful outdoor lighting, it’s impossible to imagine how your home might look at night with our outdoor lighting. So, we set it up for free. We do this by using temporary fixtures and setting them up exactly as the installed lighting will be at your home. 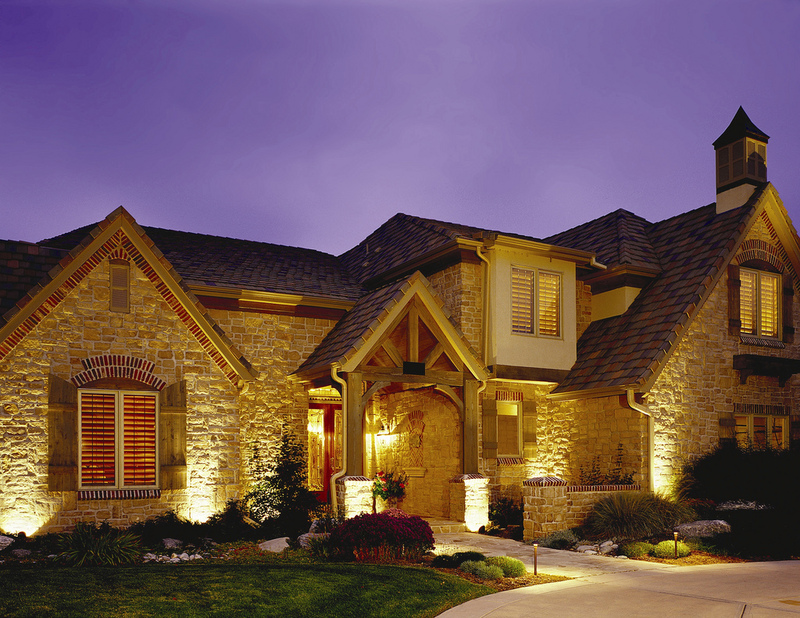 Then we are able to show you exactly how YOUR home will look with outdoor lighting. No fee. No commitment. No hassle. The way it works is we come out near twilight. Together we stand in your yard and discuss what sort of lighting you would like. We then consider the best lights and placement design to accomplish your objectives. While you sit inside and finish your dinner or rest comfortably we go to work. When everything is ready, we all go outside together and flip the switch to show you. No fee. No commitment and no hassle at all. No pressure. Just take a look and see what you think. Even though we design the free nighttime demo lighting placement the way we think is best, often times you may want to illuminate a certain area more, or less or even differently. We can then make adjustments so when your lighting is installed it’s 100% exactly the way you like it. If daytime works better, that’s fine too. We know that for some people a daytime consultation works better. What’s best for you is best for us. Click here to request a free nighttime or daytime consultation. We will give you a ring to find a time that’s convenient for you.